Cutter & Buck's quilted outerwear vest ensures that the weather won't slow you down for the big Jayhawks game, or on any other day. 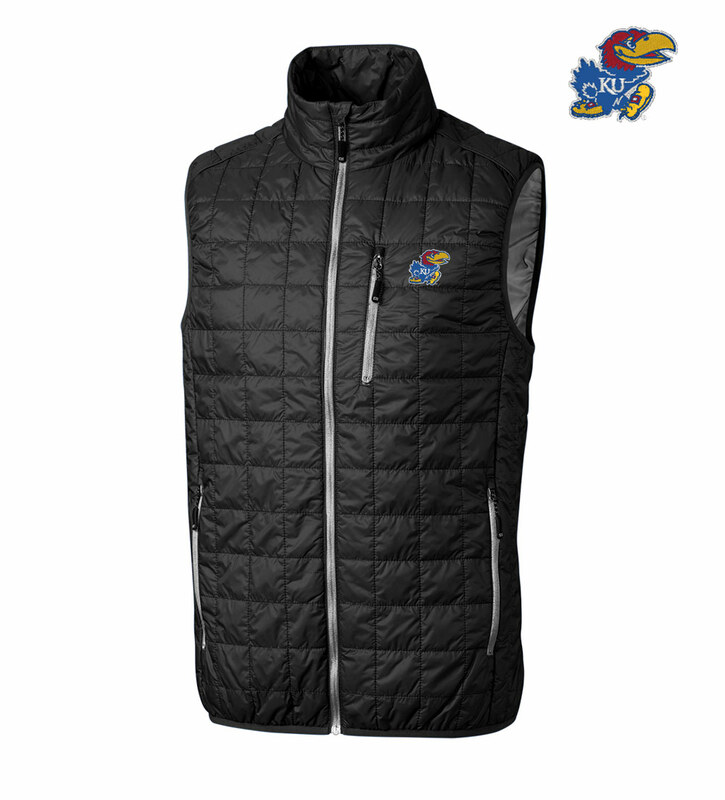 Tastefully embroidered with the University of Kansas logo at front. Low-profile Primaloft® insulation makes it warm yet packable and lightweight. An insulated collar adds extra warmth. Side pockets. Breathable, wind- and water-resistant shell. 100% nylon. Machine wash. Imported.